Jason Gewirtz is an executive producer for the business network CNBC. He has worked as a producer at the network since 2001. 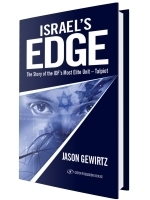 Jason has covered Israel and Israeli business extensively for CNBC. He worked for the network from northern Israel during the Second Lebanon War in 2006. He followed Warren Buffett to the town of Tefen, also in northern Israel when the billionaire investor bought the metal working company ISCAR from the Wertheimer family. Jason has also covered the attacks from Gaza on southern Israeli towns like Sderot and examined the economic impact. He produced “Beyond the Barrel: The Race to Fuel the Future” which was shot on five continents and was largely focused on several Israeli born energy technologies. He currently produces Power Lunch which is broadcast live each day jointly from CNBC’s Global Headquarters and the New York Stock Exchange and can be seen all over the world. Before starting at CNBC Jason was a producer for WABC-TV in New York, the CBS affiliate in Washington, DC WUSA-TV, as well as the CBS affiliates in Cleveland, Albany, NY and the NBC affiliate in Traverse City, Michigan. 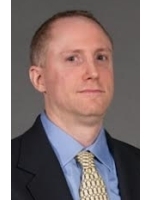 Jason graduated from the University of Wisconsin-Madison and has a master’s degree from Syracuse University. Jason has also worked extensively as a volunteer in Israel.